Fort Lauderdale's Museum of Discovery and Science is located in the heart of downtown off Las Olas and close to the picturesque Riverwalk area. When you come to MODS you can easily plan to spend the entire day. With two floors and an entire new wing full of scientific exploration for the entire family as well as an IMAX theater and onsite restaurants (Subway & Auntie Anne's Pretzels), you'll have no reason to leave! Parking for this attraction can be found on the surrounding streets' metered spots or at the adjacent parking garage. If those areas are full, there are also private lots on the east side and nearby. Exhibits. When you first walk into the MODS courtyard the children will be mesmirized by the towering clock with it's rolling balls that drop and clank surrounded by a fountain. Inside the food choices, restrooms and IMAX are off to your right. Kids will love the criss-cross escalators with see-through clear sides so they can see the mechanics of how they work! Don't go upstairs yet! Veer to the left where smaller children will enjoy making gigantic bubbles, picking oranges at the farm, and climbing this huge cypress or crawling around among its roots in the Discovery Center. Kids also enjoy the home they can build with foam blocks. The area is for children under age 7. The aquatic area in the center of the first floor often will have an employee on hand to talk to the kids about the creatures and maybe allow them to touch a few. Adventure thru the caves with fish floating on the walls and upstairs to see creepy crawlies. The back of the first floor is home to the EcoDiscovery Center. 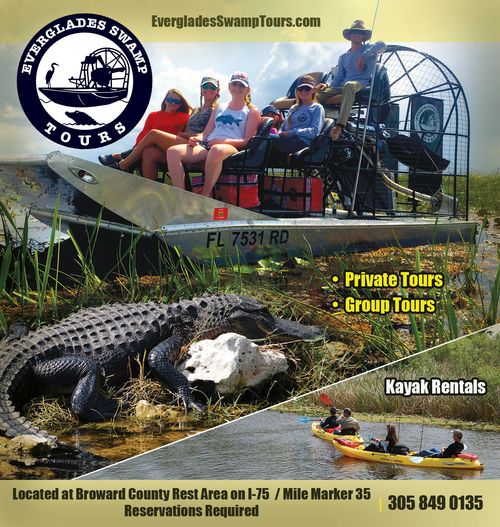 Here, you can watch otters at play in their 2-story habitat, jump into the mouth of a HUGE megaladon shark or take a ride on an airboat in the Everglades Airboat Adventure. Children can learn about Florida's past ecosystems as well as the present in this area full of interactive and engaging exhibits. You can learn about hurricanes in the Storm Center and experience hurricane force winds. Head upstairs on the elevator and see Mangurian Foundation Lifelong Learning Center where there are sometimes multiple fun learn experiences planned everyday for guests that feature four new learning labs for hands-on learning experiences. Learn about the human body at the Powerful You exhibit or learn about what happpens to our waste at the Go Green area. Your little miner will enjoy the Minerals Rock exhibit where they can learn about how minerals are the building blocks of the entire universe. Your future astronaut and pilot will enjoy the space mission simulator and 9 cockpit simulators at the awesome Runways to Rockets exhibit. MODS also offers various birthday party options as well as programming for scouting groups. They are geared to children aged 3-12 years old. They do allow you to supply your own food to your party. They provide a party room, Carvel ice cream cake, admission to all museum areas, birthday invitations, and tableware. Birthday parties are only offered for certain time slots on Saturdays and Sundays. Slots are limited so be sure to book enough in advance to get the date you need. Scouting groups have Camp-ins at the MODS and overnight birthday parties are also allowed. Summer camps are available for chidlren aged 6-12 and a Ocean Camp for children in 7th & 8th grades.